Recalling that the liturgical color is purple, and the mood more restrained, we do well to give up something during Advent, much as we would during Lent. Identifying something to eliminate from our diet, or from our daily habits, can help us to ‘fast’ from the world as we anticipate He who entered the world over two thousand years ago. 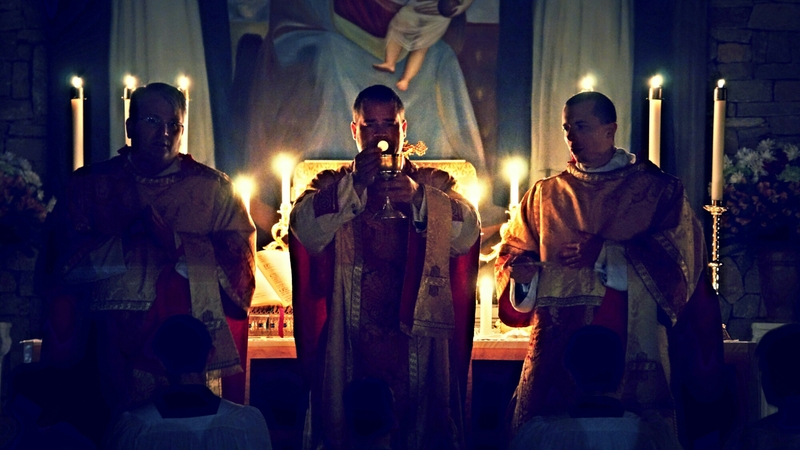 To that end, and where available, Catholics should seek out and assist at Rorate Caeli masses during Advent. In the dimly lit setting, priests and faithful prepare to honor the Light of the world, Who is soon to be born, and offer praise to God for the gift of Our Lady. As the Mass proceeds and sunrise approaches, the church becomes progressively brighter, illumined by the sun as our Faith is illumined by Christ. Ultimately the season of Advent invites us to better prepare ourselves for Christ’s arrival through prayer and works of penance. Pray that more Catholics choose to frequent Mass and Confession during this time of year, bypassing many of the premature celebrations offered by our secular culture. And may the joy of Christmas be greater realized because of an Advent more fully entered. Posted on November 25, 2016, in liturgy and tagged advent, advent traditions, dom prosper gueranger, liturgical year, Rorate Caeli Mass. Bookmark the permalink. Leave a comment.